As companies strive to stand out in their respected industry, in an often saturated and technology driven market, it’s important to remain focused on the impact that a personal connection can make. From an employer to employee standpoint, it’s important to know your team. It’s valuable to have a personal care and genuine concern for their well-being; this will not only provide a positive work place environment, but will leverage open communication in the office. This will ultimately have a positive impact on the productivity and success of individual employees as well as the overall organization. Dover Federal Credit Union, recently voted the First State Favorite Credit Union, for the third year in a row, places an extreme focus on developing personal relationship with its team members, credit union members and preferred business partners. Developing a concerted effort to build the culture, helps empower everyone, which in turn develops the focus from a ‘ME’ environment to a ‘WE’ environment. Serving as a complimentary employee benefit for more than 400 companies, Dover Federal Credit Union works hand in hand with employers to provide programs that help reduce financial stress, which can affect absenteeism and productivity in the work place. Additionally, this first state favorite credit union offers on site financial lunch and learn seminars, support of employee recognition events, customized budgeting plans for employees as well as joint partnerships to support charitable initiatives. While this is a free service, it’s about supporting the needs of employees and their families. It’s not about DFCU, but how we can help an employee learn how to budget in order to get thru until the next pay day, or how to budget for emergencies or save for a future purchase. It’s not just about being in business, it’s about being a part of something bigger than yourself. It’s about helping fellow business owners and their employees with: financial empowerment; providing access to products and services that reduce debt and increase savings; contributing to the financial success of consumers in our community and making a positive impact for others. As a financial cooperative that is owned by its members, Dover Federal Credit Union is a financial partner for life. From buying your first car, to establishing credit, helping you to buy your first home or planning for retirement, it’s evident why they have been in business for 60 years. In creating a culture that is dedicated to providing the community with financial education and legendary service, Dover Federal is creating an experience unlike any other. DFCU provides a personal connection for each and every member they serve, while also supporting the community organizations that have a direct impact on the wellbeing of others. 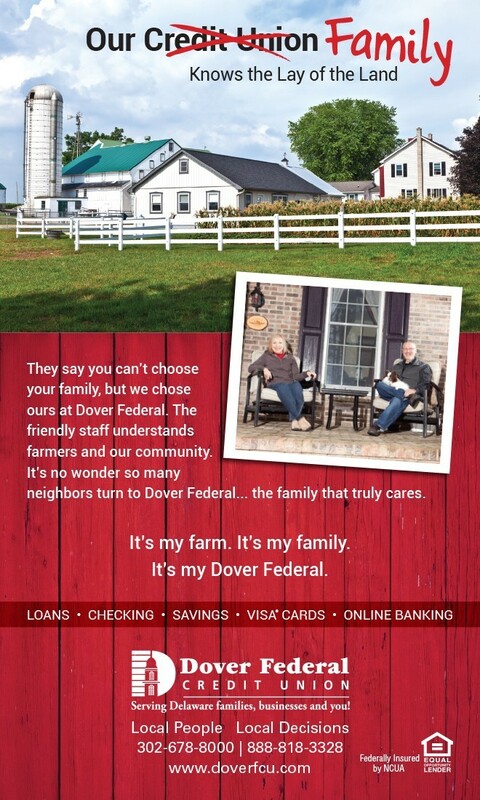 Discover the Dover Federal Credit Union difference.